4G LTE Internet Data Bundle Plans, USSD Activation codes and data subscription validity is a topic I decided to share owing to the evolution in the Nigeria’s Mobile Telecommunication space. Nigeria is recently on the quest to meet the 30% national Broadband penetration come 2018 and this has achieved a mega boost with the arrival of the 4G LTE services. The LTE is an upgrade from 3.5G & High Speed Packet Access (HSPA) for many users not limited to the GSM technology curve but also for others which include the CDMA and WiMAX and is touted to deliver path-breaking 4G experience for consumers. The successful launch of 4G LTE will make it possible and easy for millions of Nigerians to enjoy instant and efficient broadband internet access at far speeds superior than the 3G network, thereby making subscribers download ultra-high definition videos in seconds. Here are the 4G LTE data bundles subscription plans and USSD codes for popular telecommunication networks in Nigeria. MTN has joined the race of developing and/or introducing the 4G LTE. Are you an MTN subscriber? You can now enjoy optimized wireless 4G broadband and high-speed browsing experiences, and of no doubt MTN have one of the fastest mobile internet access speed in the Nigeria of today. The company’s Chief Marketer, Rahul De said. “We are excited to officially announce the roll-out of MTN 4G LTE services to our esteemed subscribers. The service supports most LTE devices, and leveraging on our network promises to be the widest LTE coverage in Nigeria. With the acquisition of the 2.6GHZ spectrum earlier this year, our aim was clear: to build capacity to accommodate 4G LTE into our services because it is the fastest wireless internet connection available today. In fulfilling that aim, we have embarked on aggressive optimization of our sites to beef up our capacity to take on the 4G LTE challenge. Presently, the service is available in Abuja, Lagos and Port Harcourt, with plans to roll-out to other parts of the country very soon”. Furthermore, Rahul has called on the network subscribers to visit any nearest MTN customer centre in the three cities to upgrade their SIM cards to U-SIMs for access to the 4G service. He made it clear that switching to MTN 4G LTE will not breed more tariffs for subscribers. 42GB for 12 months @ N 66,499. To subscribe to any of the MTN Nigeria’s 4G LTE data bundle subscription, you’ll need dial the *444# USSD code and follow the prompt to select a 4G internet data subscription of choice. Bonus tip: MTN’s 4GLTE Broadband comes with a MI-FI device which can also be purchased at the nearest MTN service centre. With this MI-FI, you can share internet data access with your friends at workplace or with your family members at home. Right now, the Next Generation Network (Glo) offers the widest 4g network coverage as it is available in 9 cities whereas others are available in 3 cities or in some parts of Lagos at the moment. 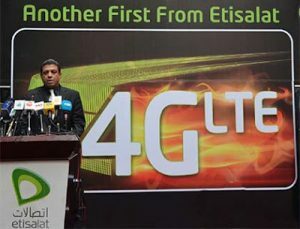 An elated Group Chief Operating Officer of Globacom, Mr. Mohamed Jameel, reported to press that though people may already be surfing the internet or sending e-mails using HSPA-enabled systems/devices using G phones, the LTE experience would be the best option. “It will further enhance more demanding applications like interactive TV, mobile video blogging, advanced games or professional services, enable more Nigerians to be on top of their game and thereby ruling their world”, he patched. “For our subscribers, LTE offers the key benefits of performance and capacity”, he said. He expressed happiness as Glo is on the lead to developing another transformational experience in Nigeria. “We have always been in the forefront of providing tools of business success for Nigerians”. The companies GCOO also stated that there are over 24 networks in the world today which had already adapted and launched 4G-LTE networks across the world. 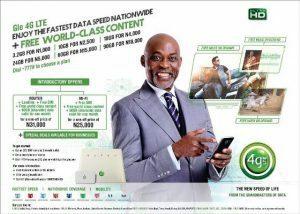 “It’s the state of art technology and we will now connect the demanding corporate customers and high data users through the latest 4G-LTE wireless broadband connection to Glo 1 and then the rest of the world,” he noted. Speaking further he confessed that the company was being proactive in meeting the mobile broadband need of its growing subscriber base. “As the data dependence and applications grow, the need to deliver higher speeds on wireless would continue to grow,” Jameel stated. Mr Jameel recalled that Globacom led the way in the introduction of cutting edge technology and services in Nigeria. Glo Subscribers in several cities across Nigeria including Lagos, Port Harcourt, Abuja as well as Jos in Plateau State, Warri in Delta State, Eket in Akwa Ibom State, Benin City in Edo State, Yola in Adamawa State and Zaria in Kaduna State now have the opportunity to use the Glo 4G LTE network. “We are pleased to once again play a leading role in empowering Nigerians with world-class data services, helping to close the digital divide. In the last one and a half years, the people of this great country have spoken repeatedly by making Globacom the largest data network in new subscriptions. The best we can do for our people who believe in us and made us their number one data network is to give them the best technology. What we are offering is the new speed of life,” said Kamaldeen Shonibare, Head, Corporate Sales, Globacom. To subscribe to any of the GLOBACOM Nigeria’s 4G LTE data bundle subscription, you’ll need dial the *777# USSD code and follow the prompt to select any 4G internet data subscription of choice. 9Mobile has finally joined the race in breeding 4G LTE. It arrived few days after Globacom launched theirs. Now, in Nigeria, among the four outstanding network operators MTN, Glo and 9Mobile now supports 4G LTE network leaving Airtel in the GSM 3G network category. At first it was MTN that introduced the 4G LTE network out of the big four (MTN, GLO, 9Mobile) they achieved this, just after it took over Visafone last year, but as it is now, the Nigerian Communications Commission (NCC) has re-framed the (1800Mhz) spectrum so as it makes it possible for other telecom providers to launch 4G network even though not being able to own a 4G spectrum. 9Mobile Telecommunication Company has promised to expand its network coverage soon. Are you a victim of those smart phone which isn’t compatible with MTN and Glo 4g LTE, I think you should try check out 9Mobile as it supports older 4G LTE Smartphones compared to the rest. The good thing is that all 9Mobile sim cards are Universal Subscriber Identity Module (USIM) this makes the road to no need of upgrading your sim before you can enjoy the 9Mobile 4g service. Well, while we wait in anticipation for Airtel to release their 4G network, you have options to choose from. The MTN, Glo and 9Mobile. I guess you can now choose wisely and enjoy your high-speed internet access from the comfort of your home.